Very cold here right now a lots of snow - even in town. The ski resort (Mt Lemmon) is open for skiing as they've gotten well over a meter of snow this past week. 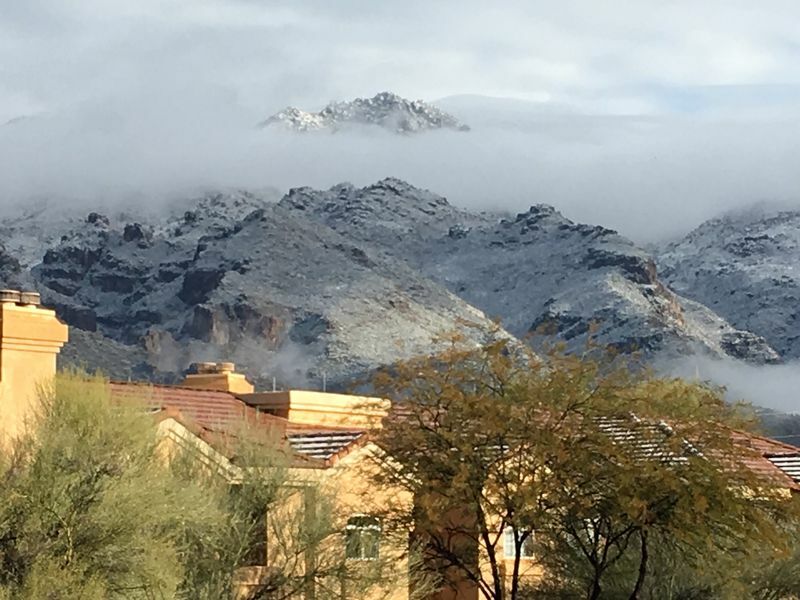 The Catalina Mountains yesterday, snowy even at its bottom. Wow that’s a lot of snow! I wonder how long it will hang around. I was planning on hiking when I’m there next month. The waterfalls have got to be amazing when it melts out. 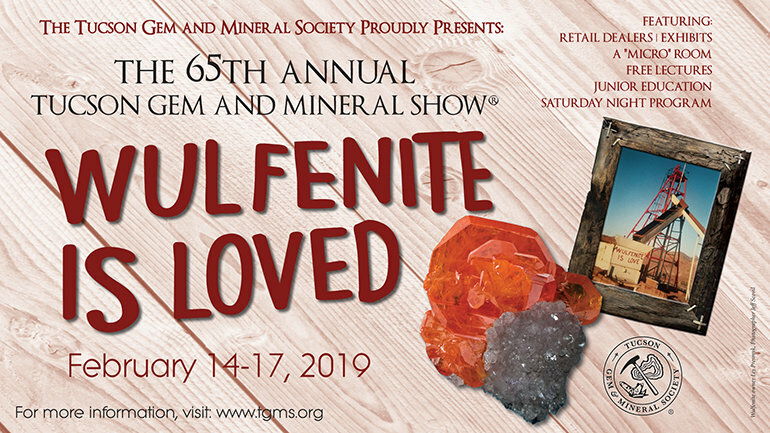 The Wulfenite is the Official Arizona State Mineral (see: Tucson Show 2017 - Wulfenite win!) and this edition of Tucson will be a new tribute to this species. Greetings to all FMFer's from Tucson - I just returned from the Flagg Mineral Show held in Mesa AZ. it's a very nice (and quite large) local show held out doors at the Community College parking lot. it was good to see lots of youngsters running around the show - most with lots of free specimens given out by dealers. 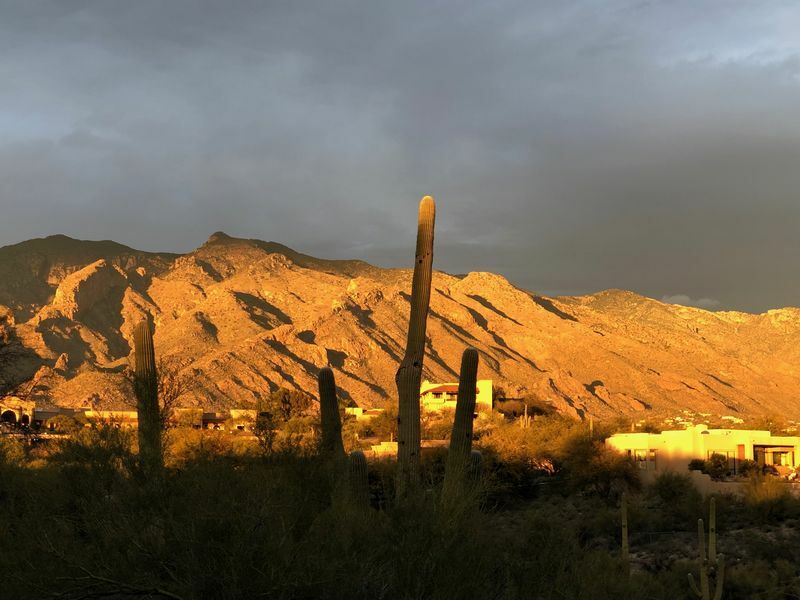 Weather in Tucson has really improved from the "winter" that we just went thru for the last two weeks, and all of the snow has melted (actually sublimated??) from the lower slopes of the Catalina Mountains. Forecast shows for temps in the 70degF for the foreseeable future and hopefully thru the Tucson shows. 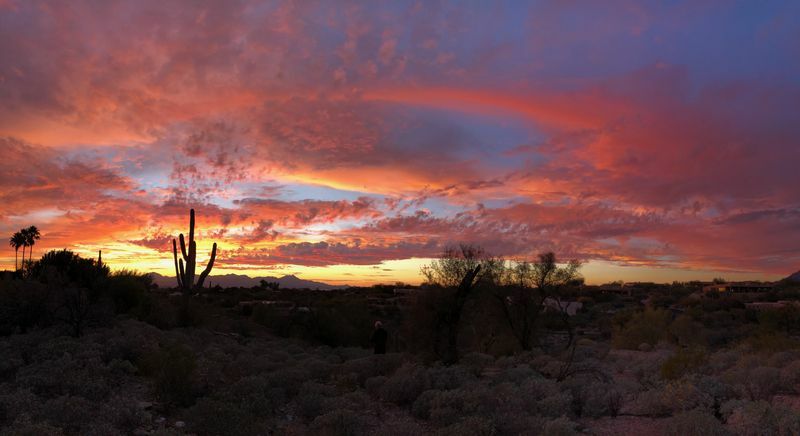 View from the hill behind our unit - near the intersection of Kolb and Sunrise. The tents are going up and the minerals are coming in, this is the Moroccan tent area on Main. The Ramada Inn is now the Days Inn and the old Days Inn is now the Red Lion. 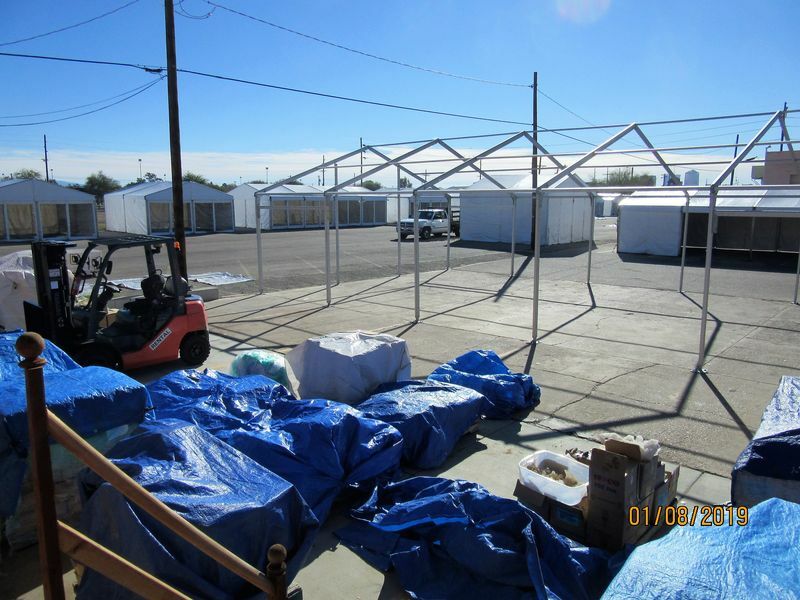 The large tent on 22nd Street is almost complete and other venues are well on their way to completion. 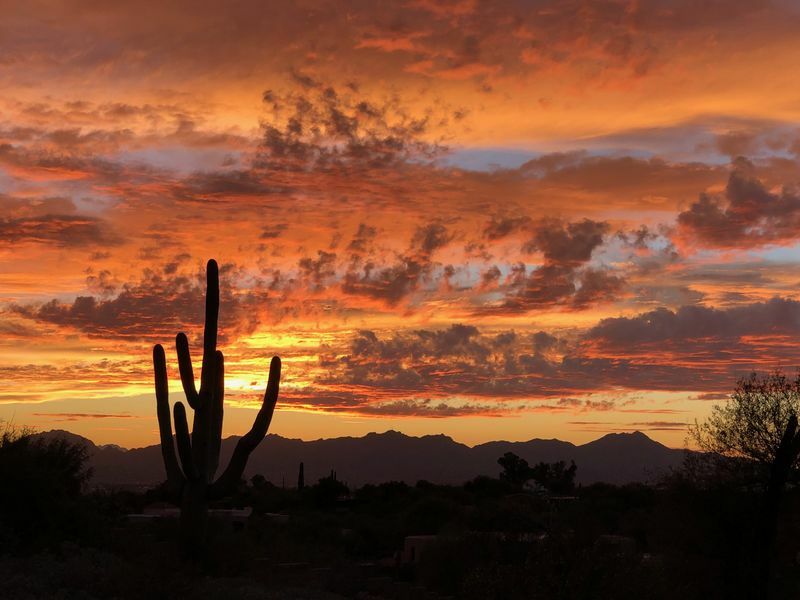 one of the special occurrences in Tucson are the sunsets - tonight was pretty special - a few photos attached for your viewing pleasure - two weeks to go till all the mineral action starts. 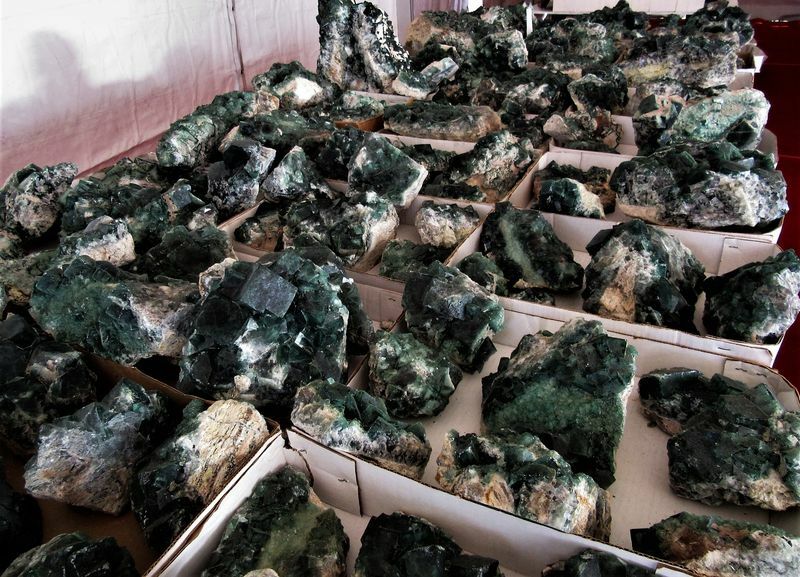 Now you know why we live in Tucson...it's the minerals!! I'm looking forward to coming to Tucson! This is my first Tucson show, and also my first trip in USA ! I hope to meet many FMF collectors ! I would even consider to live there for some great people! And it is not even a dry heat. I am of direct warm blooded Viking stock and I have enjoyed living here for 40 years. The first thing one learns not to do is to dress like a Viking. A dry heat for me is 110-115+ degrees outside and less then 10 percent humidity. I live in California. and I know a real Viking like you thrive there. 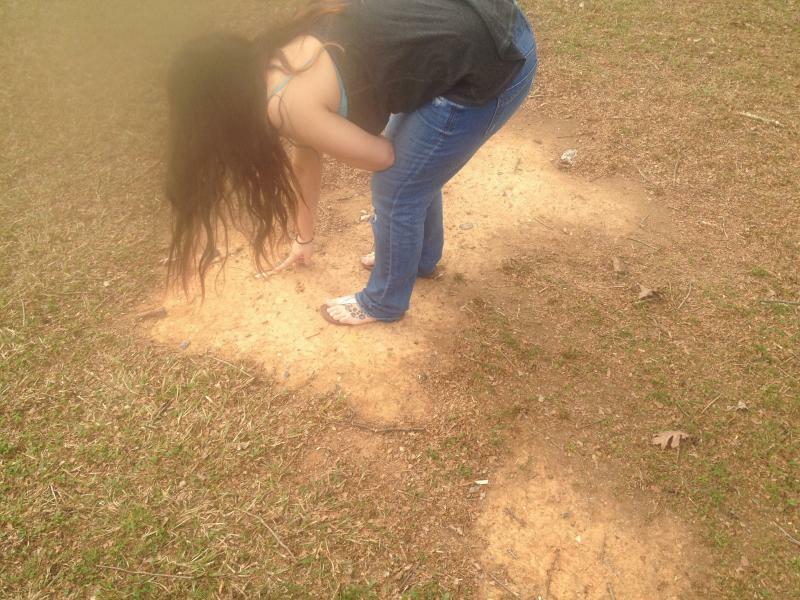 Allison has Viking blood too! Vi ses snart min vän. The secret is to get out of the heat...whether it's dry or not! Nar tror du det kanske blir min van? Hope to see you and the weather warms up. One of the cool things about organizing exhibits for the Main Show is that folks sometimes call at the last minute with new finds they want to exhibit. 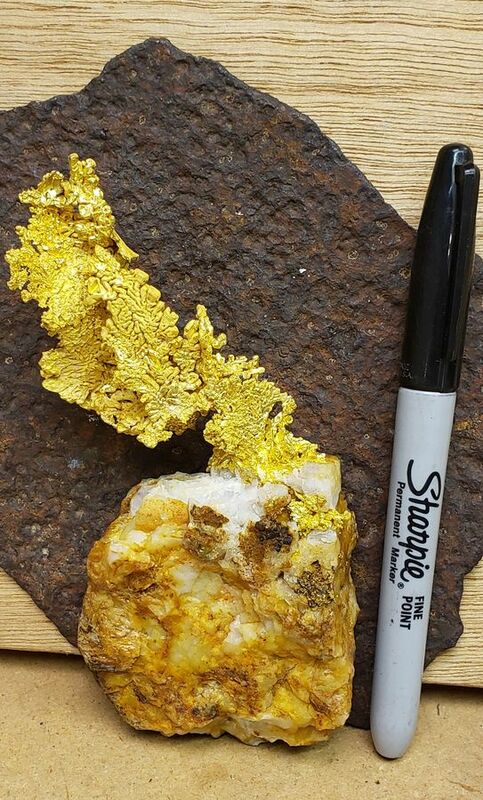 There are often cancellations or vacancies right up to Show time, so if you have...or know someone who has minerals they'd like to exhibit, please let me know! Although the show is almost two weeks away, some of the dealers have opened up early. Here are some fluorite specimens that I had not seen last year, unfortunately there is extensive damage on most of the pieces. 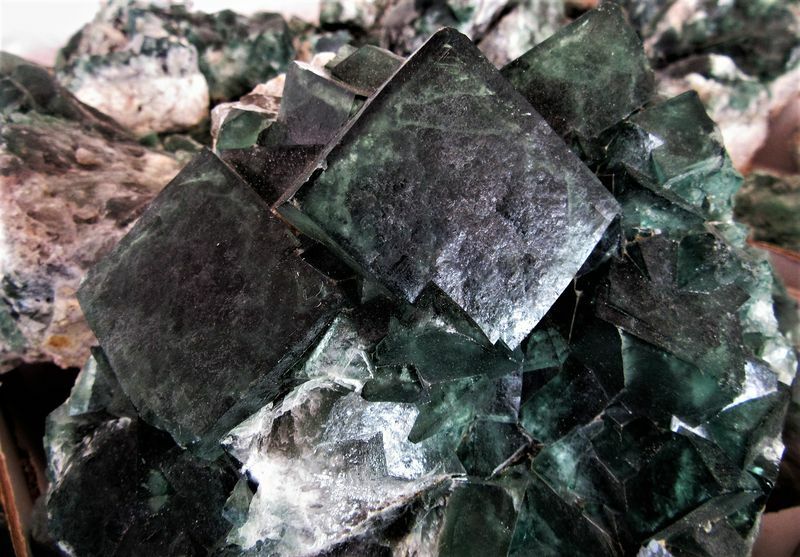 Cubes of fluorite 2.5 cm. 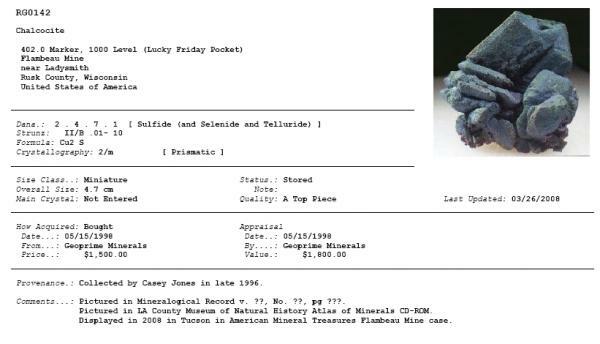 I'm glad to hear there are some undamaged specimens. All those I had seen so far were damaged & thought it might take some time for the miners to learn. Apparently some good specimens are randomly passing the gauntlet.